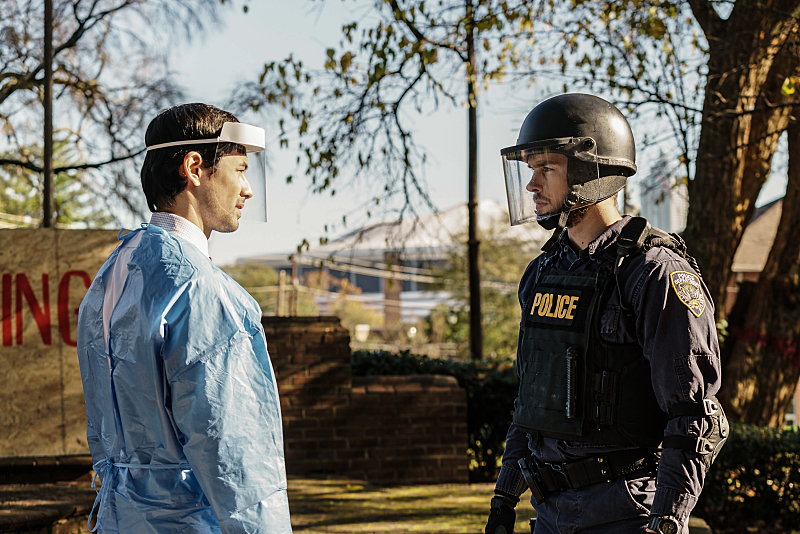 Spoiler description and preview images for the final episode of Containment, titled "Path To Paradise"
The final episode of Containment airs July 19 on The CW. The series finale is called “Path To Paradise” and the network released an official description today that contains some spoilers. Sadly, there will not be a Containment Season 2 as the show has been canceled. Hopefully, you’ll still enjoy this description and the episode when it airs. RISING UP — With only one shot to take Dr. Lommers (Claudia Black) down for good, Lex (David Gyasi) carefully plans his next steps. Jana (Christina Moses), Suzy (guest star Nadine Lewington), Teresa (Hanna Mangan Lawrence) and Xander (guest star Demetrius Bridges) make their dangerous escape out of the cordon, but unexpected road blocks threaten to destroy their chance of making it home. Inside the cordon, Dr. Cannerts (George Young) and Jake (Chris Wood) make a breakthrough discovery following a risky experimental treatment. Finally, with time running out, Lex is forced to make a decision that will change his life forever. Trevor St. John also stars. Charles Beeson directed the episode written by Matt Corman & Chris Ord (#113). Original airdate 7/19/2016. UPDATE: The CW has now released some photos! Only three, but three is better than zero! Containment -- "Path to Paradise" -- Image Number: CON113a_0072.jpg -- Pictured (L-R): George Young as Doctor Victor Cannerts and Chris Wood as Jake -- Photo: Tina Rowden/The CW -- ÃÂ© 2016 The CW Network, LLC. All rights reserved.